There is absolutely not one nutritious ingredient in candy corn, but it sure is yummy! Here is an easy recipe so that you can make them any time you have a craving! 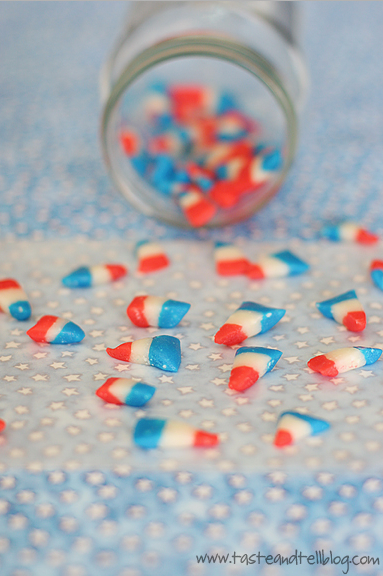 These particular candy corn would be the perfect treat for your 4th of July party this year! Check out the instructions on how to make these, at Taste And Tell Blog. The great thing about this recipe is that you could make them all year long. You just simply switch up the dye colors according to the holiday. If you make too many, they could be used to fill an apothecary or help dress up a candle.